Here’s how it works: Please schedule your first class in advance, so that an instructor is available to get you started. You can do this by linking to our MindBody app, email us, or sending us a FB message. Please arrive 15-20 minutes early for some quick paperwork, and a brief tutorial on the mat before class starts – super important for a successful and FUN first class! 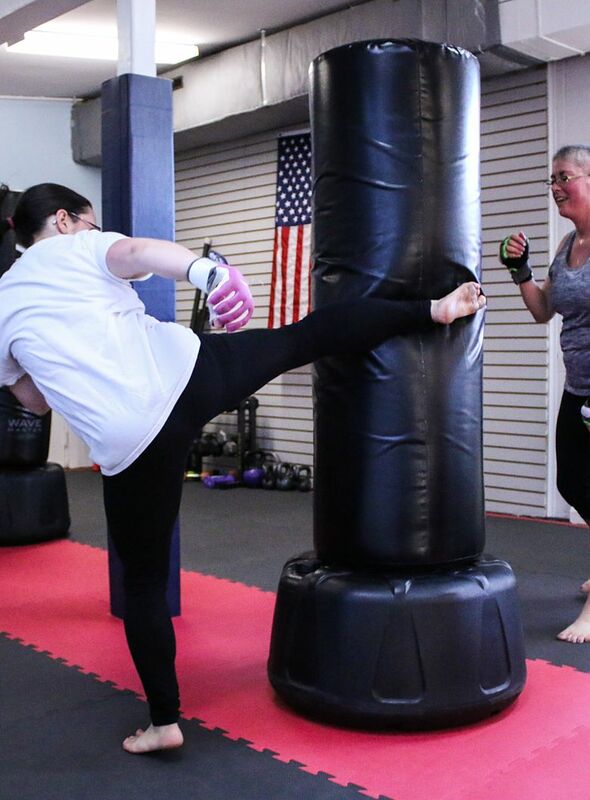 Kickboxing Keene’s classes are for ALL FITNESS LEVELS. We will show you how to modify if you’re a beginner, or how to step it up if you’re an expert. Note, THERE IS NO PERSON TO PERSON CONTACT OR SPARRING in our classes. Completely enjoying my experience at kickboxingKeene! I'm up here visiting my dad for a couple of weeks and was able to do a two-week pass here. The instructor and owner Kerry is AMAZING and she is giving my work out just the little bit more of a kick (pun intended!) than I usually give myself, so I'm really going to miss her when I go back to Florida!